Since 1793, men and women from the WUNSCH & MANN winery, produce and make Alsace wines for your greatest pleasure. Our wines are a reflection of a family passion and a real love of this craft that is constantly evolving while respecting the traditions. These wines, resulting from the best hillsides of Wettolsheim and the neighborhood villages, come at the same time from our own vines which extend on more than 20 ha, as well as grapes provided by local wine growers. Since 2008, in order to preserve our values and our land for future generations, we have chosen to work our vineyard in organic farming. This beautiful vintage will charm you with its beautiful floral notes and smooth mouth, making it the ideal wine to celebrate the arrival of spring. 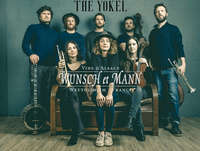 Sign up and receive every month information domain Wunsch & Mann. Copy the 4 letters in the above fields.